Welcome to the Year 6 Arithmetic 16 practice questions. For each of the 40 questions on the Year 6 arithmtic practice papers, 16 practice questions have been created for you to develop your understanding. You will be able to identify these key question areas by using the arithemetic tracker to highlight any errors in your answers. 6 arithmetic questions have been updated to include any new questions introduced in the 2018 SATs arithmetic paper. Questions: 1, 5, 7, 24, 28 & 31 have been updated on both the practice papers and Arithmetic 16 practice questions. A new video tutorial has also been created for each of the questions to support the pupils’ learning. ALL 40 ARITHMETIC 16 VIDEO TUTORIALS NOW AVAILABLE ONLINE! Each of the practice questions below provides a supporting video tutorial for pupils to develop their understanding. Pupils can pause, rewind, fast-forward and full screen the tutorials as they wish. They can be viewed on a tablet, phone or desktop. 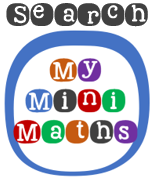 Please subscribe to the MyMiniMaths YouTube channel using the link in the top right corner of the page.